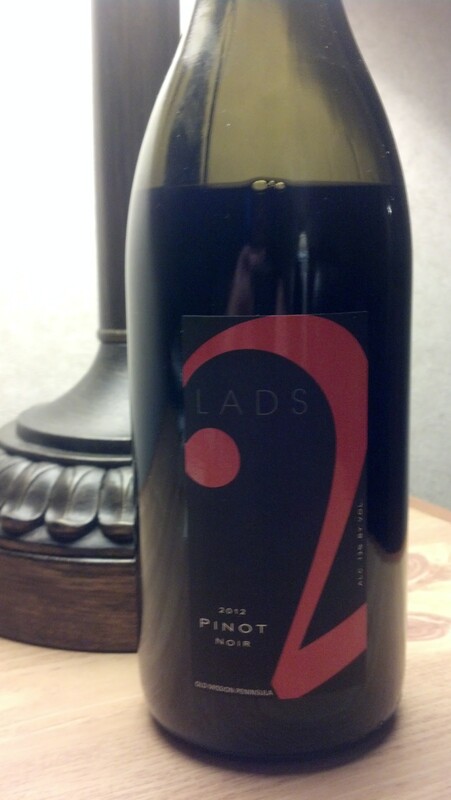 2 Lads Pinot Noir 2012 | Wine Splash! Impressive Pinot Noir from the Old Mission Peninsula in beautiful Northern Michigan. A wonderful place for great wines and fantastic scenery! 2 Lads Winery is one of those destination stops along the peninsula for both reasons listed and many more! This Pinot Noir is ruby in color with aroma’s of cherry jam, red berry, and cola. Lively flavors of ripe black cherry, vanilla, earth, and a hint of mint. On the second sip, more rich flavors of cherry emerged along with toffee and spice. A great wine to pair with pork dishes, grilled burgers, pasta with a tomato meat sauce, baked eggplant parmesan, and medium cheeses. A nice wine for summer when you don’t want a heavy red wine. 89 Points. WineSplashing! !